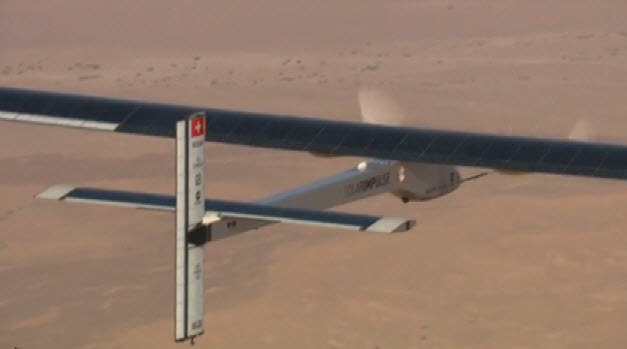 A solar-powered plane - energized by the power of the sun - took off just as dawn broke Friday morning from Mountain View's Moffett Field on its first cross-country tour, bound for New York as its final destination. 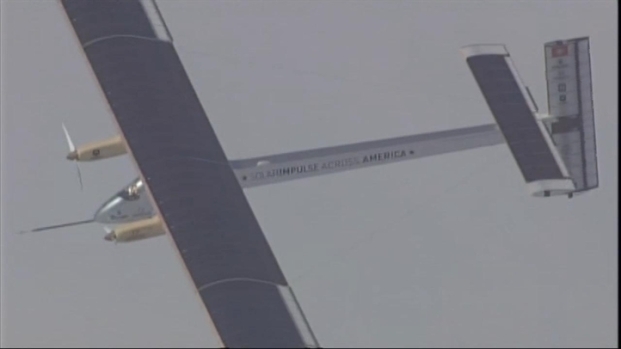 Considered the world's most advanced sun-powered plane, which only travels about 30 or 40 mph, the Solar Impulse has already taken successful test runs over California's Bay Area. A solar-powered plane - energized by the power of the sun - took off just as dawn broke Friday morning from Mountain View's Moffett Field on its first cross-country tour, bound for New York as its final destination. Bob Redell reports.